Storefront crash prevention solutions should be simple, easy to attain, and not cost an arm and a leg. 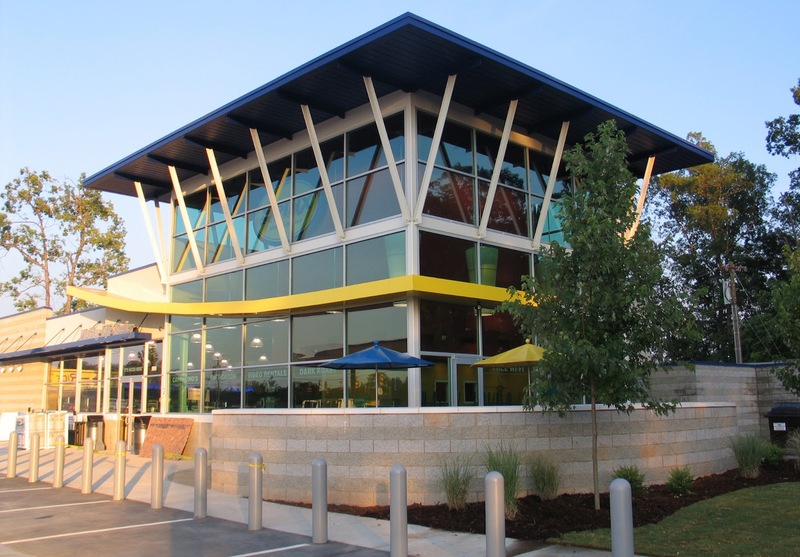 Spinx, a convenience store company serving North and South Carolina, believes the same when it comes to storefront crash safety protection. With 65+ convenience store locations in the Carolinas, Spinx’s mission is to fulfill customer needs in a clean, safe, and convenient environment — what every customer should expect. 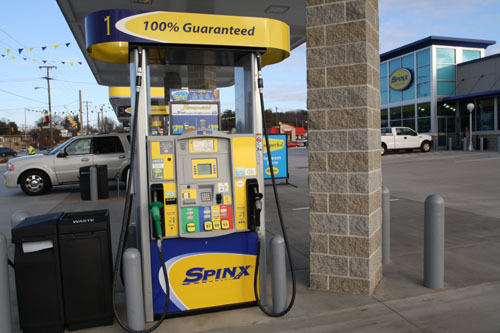 Spinx wanted full facility vehicle accident prevention — effective storefront crash safety, gas pump guarding, possible theft deterrence, and everyday protection for customers and employees with solutions that wouldn’t create extra work or costly upkeep just for doing the right thing. After strategically placing bollards in the right places and spaces for the right protection, Spinx needed a finishing touch — something unique to Spinx branding, but also staying in the focus of storefront safety. In 2008, the decision emerged to achieve a clean and safe appearance using bollard pipes and bollard covers. Ideal Shield and its variety of product offerings provided Spinx with exactly what Spinx needed and wanted for their storefront safety. It doesn’t get more clean, safe, and convenient than that. Many stores have found bollards and bollard covers are the best way to prevent costly storefront accident damage. In addition, insurance companies favor businesses that ensure customer and facility safety which in turn reduces rates. When it comes to 'Never Paint Again', durable, maintenance-free bollard covers, Ideal Shield is the only manufacturer to offer a variety of custom options, from sizes to colors, in order to continue their commitment to quality, safety and crash prevention. Spinx's commitment to employee and customer safety is second to none. Realizing the value in investing a little more upfront for long-term storefront protection makes them a business that's getting it right. Dennis Knittel is Director of Distribution, and Catherine McClary is Marketing Content Manager, at Ideal Shield in Detroit, Michigan. Nice to see a forward looking company taking care of safety up front.